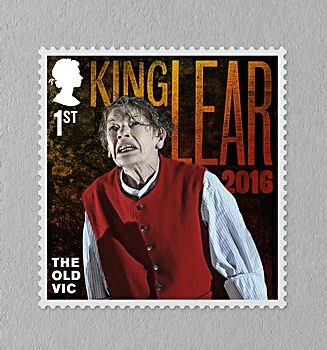 Background: We were commissioned in 2016 by Royal Mail to begin work on creating the set of stamps to celebrate the 200th anniversary of iconic London theater Old Vic. It has seen performances from many leading actors and actresses like Laurence Olivier and Glenda Jackson. 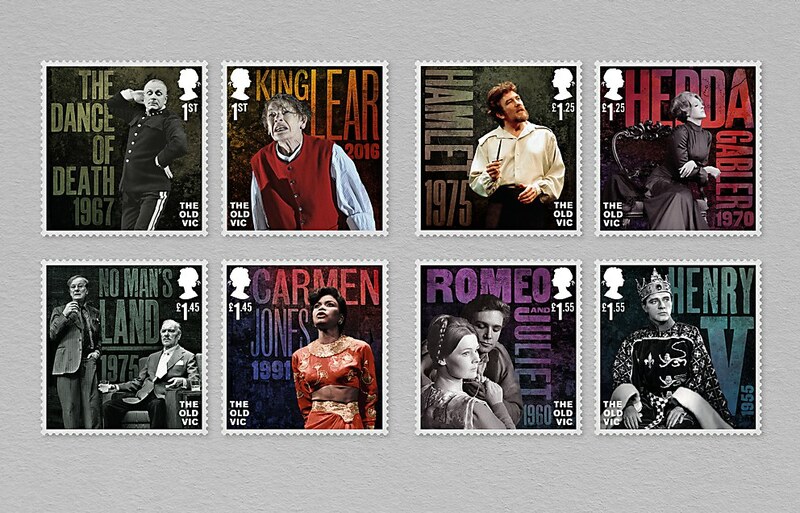 Since the brief was to put the actors front and center in the designs, we saw an opportunity to create some interest and depth in the backgrounds to help bring the stamps to life. Reasoning: We explored around but quickly came to the idea of a typographic approach using the titles and years of the productions. We previously worked with typographer Kelvyn Laurence Smith on some Great War stamps and knew he would be the perfect partner with which to collaborate. 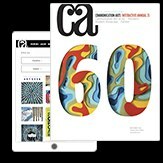 For the process, Kelvyn set out typographic compositions in black and white and we experimented with applying layers of color and shading so that they became almost like theatrical backgrounds. Challenges: Creating the typographic compositions around each of the photos of the actors was a real design challenge to both maximize the impact of the type and also create a balanced set as a whole. 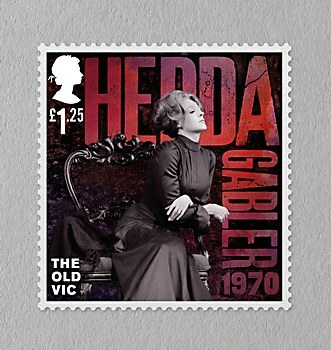 Favorite details: The detailed typographic touches such as the cracked A in the Hedda Gabler title reflecting the characters’ mental state in the play, the KING creating a type “crown” in King Lear, the hidden arrow in Henry V and even down to the fact that the counter in the M of Hamlet being the same shape as his dagger. Visual influences: We looked at old theatre posters from the Old Vic archives and were inspired by the bold use of typography, especially in the early posters. This led to the idea of the use of type in the stamps. 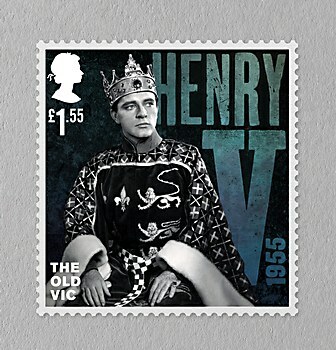 Specific demands: One the of the key considerations with a set of stamps like this is that they have to work together as a set, but also individually as one-off stamps, so that creates a real design balancing act. 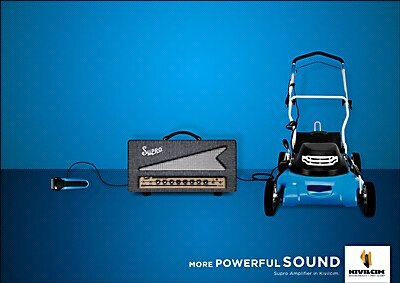 The colorful print ads for Kıvılcım Instruments & Pro Audio amplifies the Supro amplifiers this Turkey-based music store sells. “Discover the Unsearchable” reminds us that the answers to the truly creative and poetic questions in life can only be found in nature. 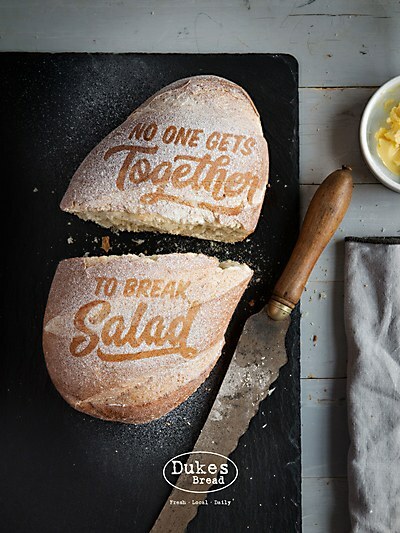 The print ads for this North Carolina–based bakery proclaim the important fact that bread is always delicious.